Hanoi to Ho-Chi-Minh City, seeing Sapa, Halong Bay, Hue, Hoi An and the Mekong Delta. 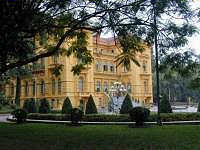 Arriving Hanoi, our Vietnam representative will be at the airport to welcome you & transfer to your hotel. Rest of day at leisure. 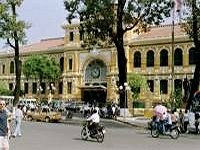 Full day city tour includes Ho Chi Minh’s Mausoleum (closed on Monday, Friday and the whole October-November) and Residence, One-Pillar Pagoda, Army Museum. Lunch at local restaurant. Visit Temple of Literature, built in the 11th century as Vietnam’s first university, Fine Art Museum, Quan Thanh Temple, Hoan Kiem Lake and Ngoc Son Temple in the Old Quarter of Hanoi. In the evening, see the world-famous Vietnamese Water Puppet show in the theatre & dinner at local restaurant. This morning about four hours drive to the highlands of Sapa. Upon arrival check in hotel. After lunch at a local restaurant, take a visit to climb Ham Rong Hill for a panoramic view of Sapa town. Today we take two walks around rural Sapa. The morning walk starts with the downward trail through beautiful scenery of rice paddy terraces, villages & local farms to Lao Chai village of the Black H’mong minority. The walk continues to Ta Van village of the Dzay ethnic group. There are duck farms & local schools. We continue to Giang Ta Chai village of the Red Dao minority. After lunch we start the second walk from Ta Phin to Ma Tra village of Dzao & H’mong minorities. The two hour walk also passes through beautiful rural farms & terraced fields with local people working in their farms. Early morning leave Sapa town to visit the weekly market in Cao Son or Bac Ha depending on the day. Afterwards we drive back to Hanoi & transfer to hotel. This morning we drive for about four hours to Ha Long Bay. Upon arrival transfer to join our cruise for a night on board. After lunch, we cruise on the emerald green waters of Halong Bay, among the 3,000 spectacular limestone islands. Dinner and overnight on board. Take an early morning Tai Chi exercise session on the top deck (optional!). After breakfast disembark for an easy exploration of the caves close by. Then return to the boat & check out of your cabin and enjoy a brunch while sailing back to land. Pick up & visit to Hon Gai market before we drive back to Hanoi. 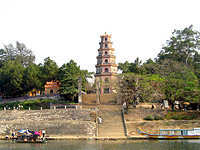 On the way back (if time permits) we can visit Ba Vang Pagoda. Arriving Hanoi & transfer to hotel. Free day at leisure to do some shopping in the many markets and interesting shopping streets of Hanoi or simply relax by your hotel swimming pool. 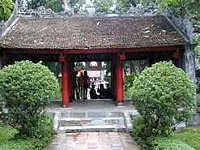 Transfer to airport for your flight to Hue. Pick up & transfer to hotel. Evening dinner at local restaurant. Today we take a full day tour of the sights of Hue, starting with a boat trip on the romantically named Perfume River to visit Hue's best-known religious site, the Thien Mu Pagoda, and the mausoleum of former emperor Minh Mang, in a tranquil setting of gardens and lakes. 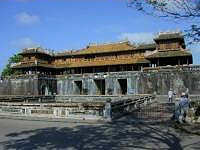 In the afternoon visit the elaborate mausoleums of emperors Tu Duc and Khai Dinh and the Imperial Citadel from where the Nguyen Dynasty ruled between 1802 and 1945. Overnight in Hue. This morning we drive to Hoi An via Danang. The scenic route climbs over the Pass of Ocean Clouds before dropping down to the wonderfully photogenic fishing village of Lang Co. Arriving Danang with city tour includes China Beach, once famous as a beach resort for resting US soldiers and the Cham Museum containing the finest collection of Cham sculpture in the world. After lunch drive to Hoi An. On the road from Danang to Hoi An visit five sacred hills known as the Marble Mountains containing dozens of Buddhist shrines. On arrival in Hoi An transfer to hotel. Hoi An was a major Asian trading port in the seventeenth and eighteenth centuries and its picturesque architecture and relaxed lifestyle has changed little over the years. Take a walking tour of the ancient town centre to visit former merchants' houses, the 400 year-old Japanese Covered Bridge and the colourful market. Afternoon trip to visit the capital and religious centre of the former Champa Kingdom, My Son. 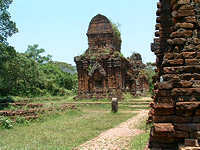 Here, 40km southwest of Hoi An, in a lush green valley, are dozens of red brick towers and sanctuaries dating from between the seventh and thirteenth centuries. Free at leisure to enjoy the beach or wander in this ancient town full of old houses, temples & markets. Free at leisure until it is time to drive back to Danang & transfer to airport for your flight to Ho Chi Minh City. Pick up & transfer to hotel. Tonight dinner at local Vietnamese restaurant. Today's tour of the city includes The Reunification Palace (former Presidential Palace), Post Office, Notre Dame Cathedral, Lam Son Square, Ben Thanh Market, Thien Hau pagoda, the Museum of the HCM Campaign and other sights of the city as time allows. This morning we drive through typical southern Vietnamese countryside to Tay Ninh Province in the west of Vietnam. 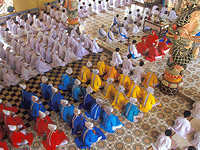 At Tay Ninh visit the incredible Cao Dai Great Temple, with architecture that could have come straight from a Walt Disney fantasy and where all the major faiths of the world blend together in a unique religious cocktail. In the afternoon visit the famous Cu Chi Tunnels, an incredible underground tunnel network constructed by Vietnamese resistance fighters during the long struggle for independence. Return to HCMC. Today we leave Ho Chi Minh City and head south to Can Tho deep in the Mekong Delta, breaking the journey at My Tho, 2 hours south of HCMC, to visit the very ornate Vinh Trang Pagoda> Then we take a boat trip to Thoi Son island, visiting fruit orchards and enjoying fresh fruits with traditional music performance, Also we can see coconut candy being made, the production of honey and rice wine. Our trip continues to Can Tho and we check into the hotel. Overnight in Can Tho. An early visit to Cai Rang floating market is an option before your breakfast at the hotel. 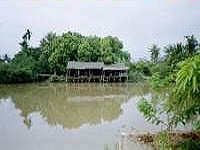 After breakfast, we head northwest to Chau Doc, situated near the Cambodian border, checking-in at the hotel on arrival. In the afternoon we take a boat to visit fish farms where fish are bred in wooden cages suspended under floating houses on the river, then continue by boat to visit a village of stilt houses belonging to the Cham minority where colorful traditional textiles are woven on old wooden looms. We return to dry land in time to drive up Sam Mountain to watch the sunset over the Cambodian border. Overnight in Chau Doc. Leave Chau Doc after breakfast and head back towards Ho Chi Minh City via Vinh Long, breaking the journey at Vinh Long to visit the Phan Thanh Giang Confucian Temple and take a boat trip to the cottage industries of Cho Cua village. Visit a ceramic tile factory, a tofu and fish sauce factory and a rice cracker making factory then continue to Cai Be Floating Market and rejoin the car to drive to Ho Chi Minh City & transfer to hotel. At leisure until it is time to transfer to the airport for departure flight. Arriving back in UK next morning. Please note: In order to arrive in Sapa for the Saturday mountain market, your departure date for this tour must fall on a Tuesday. Whilst every effort will be made to carry out the programme shown above, small changes may sometimes be necessary. With stays in the beautiful mountain region of Sapa, the quiet canals of the Mekong Delta and stunning Halong Bay, this 21 day trip covers all the differing landscapes and peoples of Vietnam.